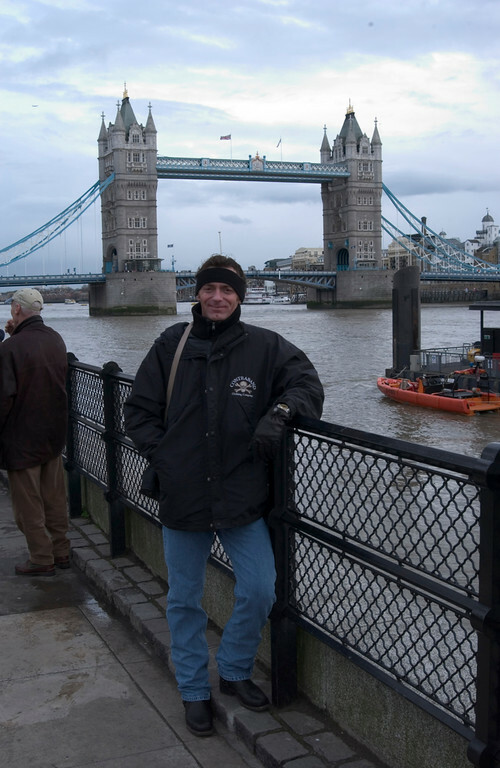 Tower Bridge is known all over the world and is easily recognizable by many people on this globe. It was built between 1886 and 1894. 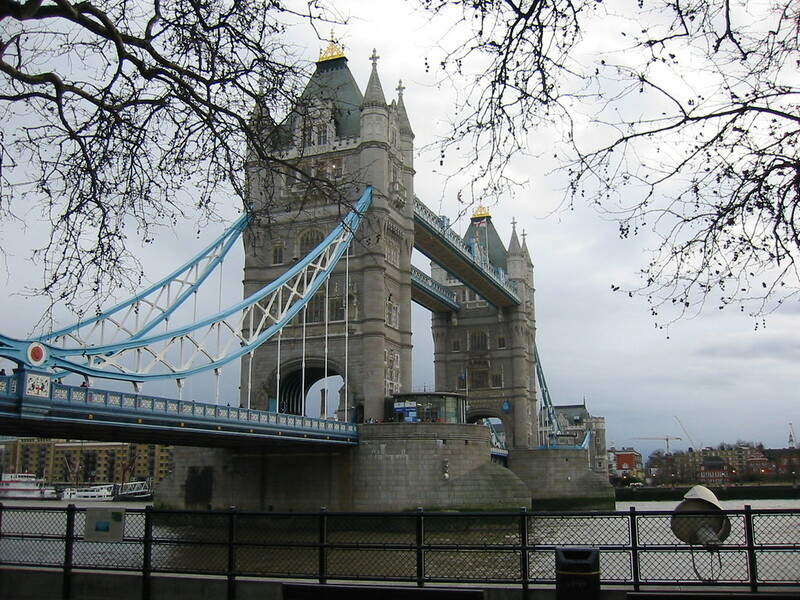 Tower Bridge spans the River Thames. The center part of the bridge can be raised to allow ships to pass underneath it. More than 400 workers helped to build the bridge. Over 70,000 tons of concrete were sunk in the river to support the bridge. Over 40,000 people use the bridge every day. You must give 24 hours notice if you want the bridge raised to pass under it and it’s raised about 1,000 times a year. 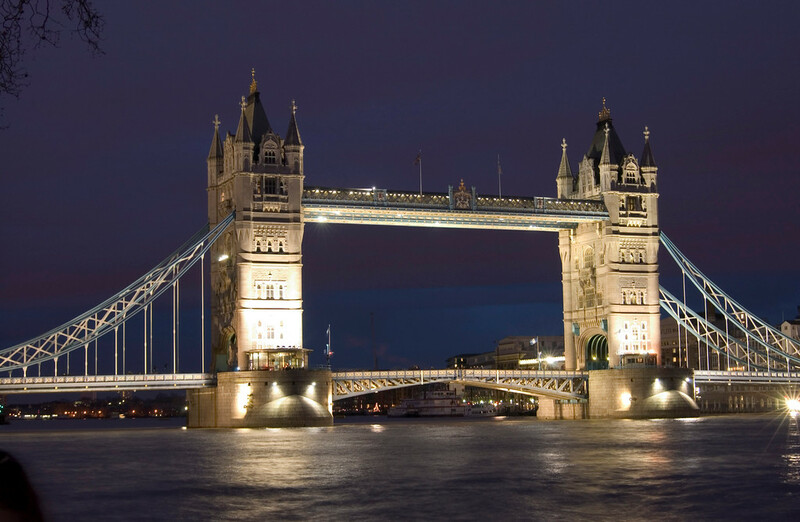 Many think that Tower Bridge is the London Bridge but, in fact, it’s two totally different crossings of the Thames. I went up to the top of the bridge and walked across the top. There is space in the top of the bridge and they have receptions and other functions in the top part of the bridge. While I was looking around, I saw the photo below so I took a picture of a picture. 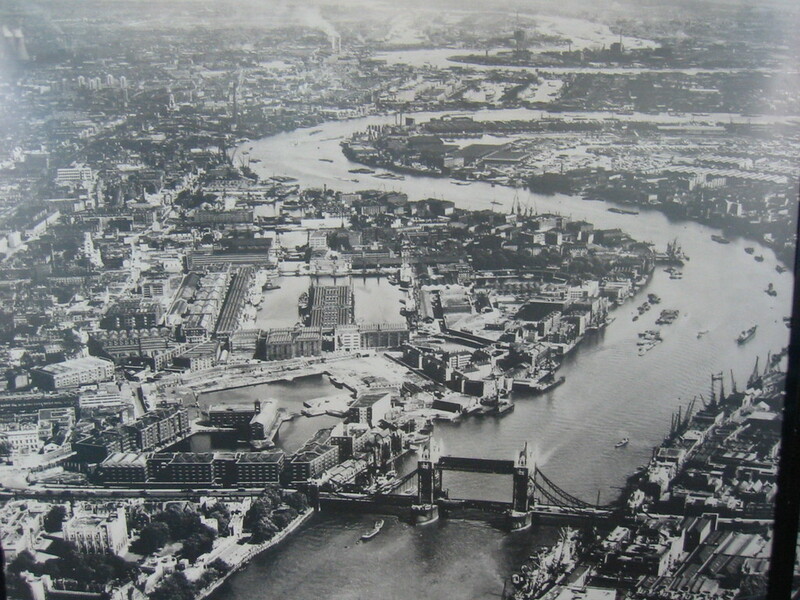 You can see Tower Bridge towards the bottom. This is photo below is the view from the top of the bridge. I think that’s a cool looking building. 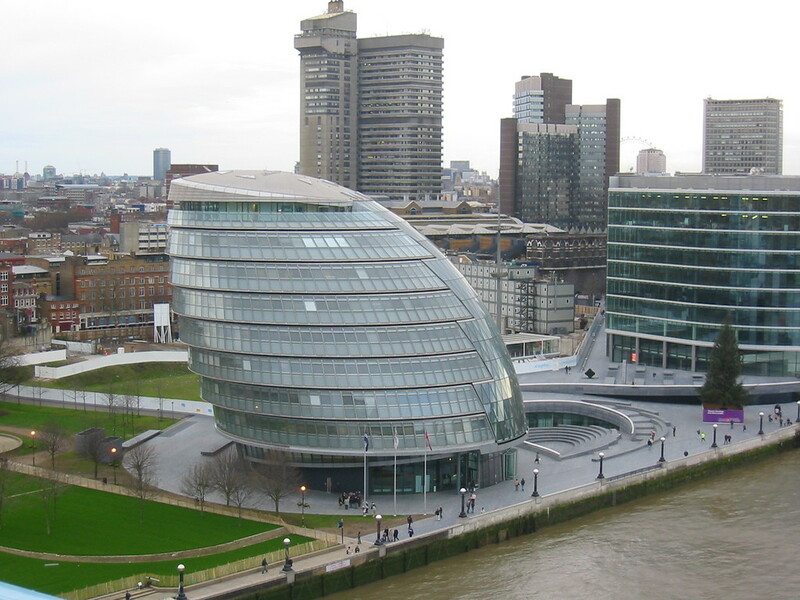 Another Blogger told me it’s London’s City Hall. The lights on the bridge make it look awesome. You’ll see many postcards around town for sale with a very similar image to mine. I heard from another Blogger that the glass bottom floor is finished. You can now walk across the top of the bridge and look down on the traffic below. He was there on the first day and he said it was awesome. 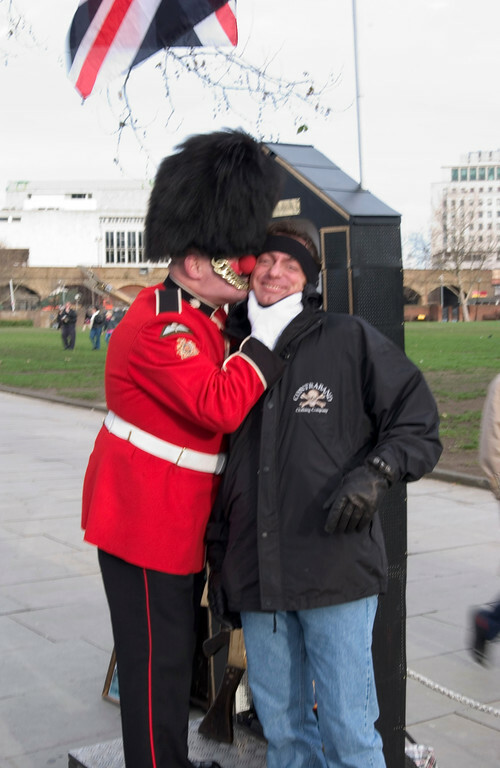 While in the area of the bridge, I went to get a photo with this guy dressed as a guard. He told my friend to count to three then take the picture. My friend counted and as soon as he said “two” the guard kissed me and my friend snapped the picture. Pretty sneaky guard if you ask me. This is one of my favorite photos from my travels. 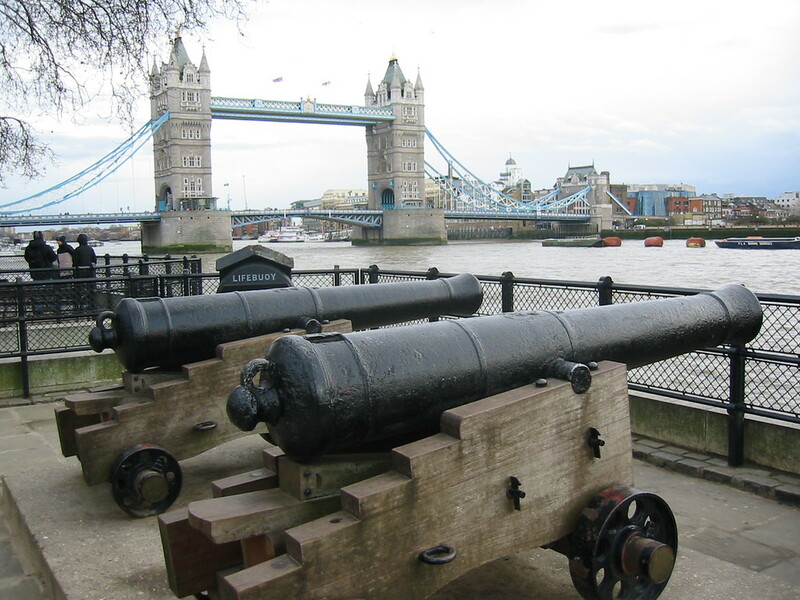 I hope you enjoyed reading about Tower Bridge. 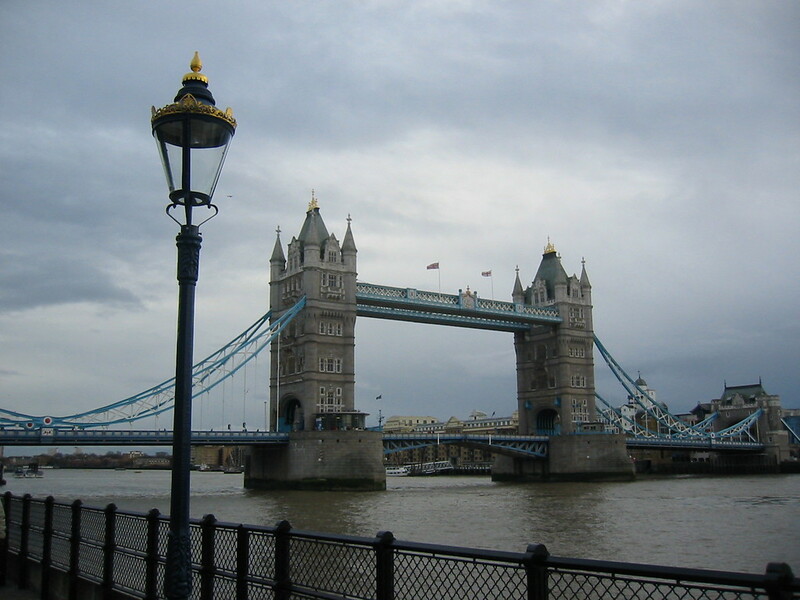 You can see more of my photos of London and my other travels on my website. 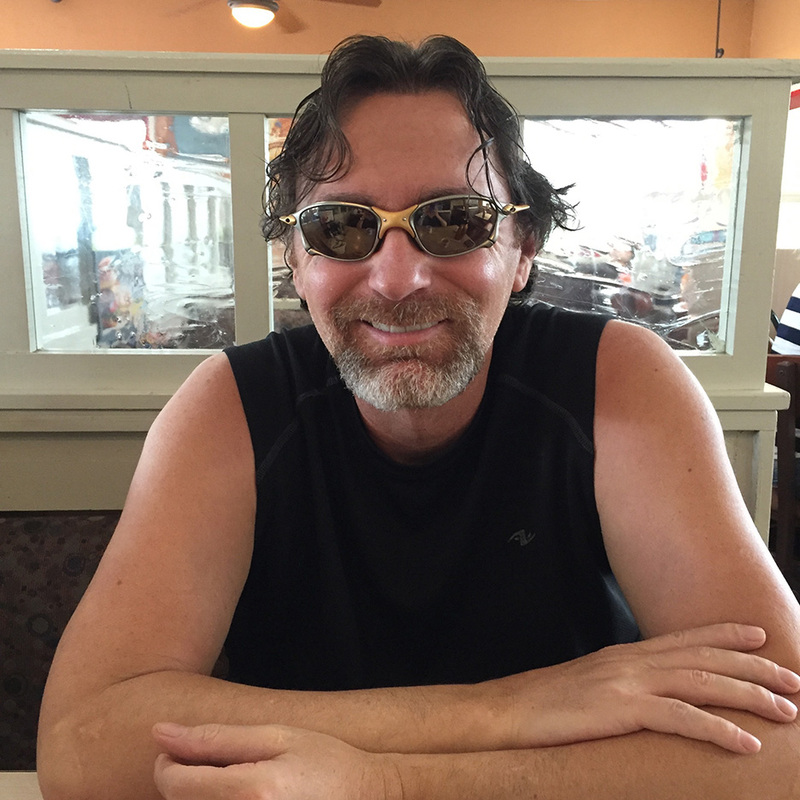 Also, please ‘Like’ my Facebook page for updates about what events or places I’m traveling to next.